Diablo OG by Honeycomb Farms Lab tested at 23.3% THC. Diablo OG by Honeycomb Farms, grown pesticide free in soil, hand trimmed, and nitrogen sealed for freshness. 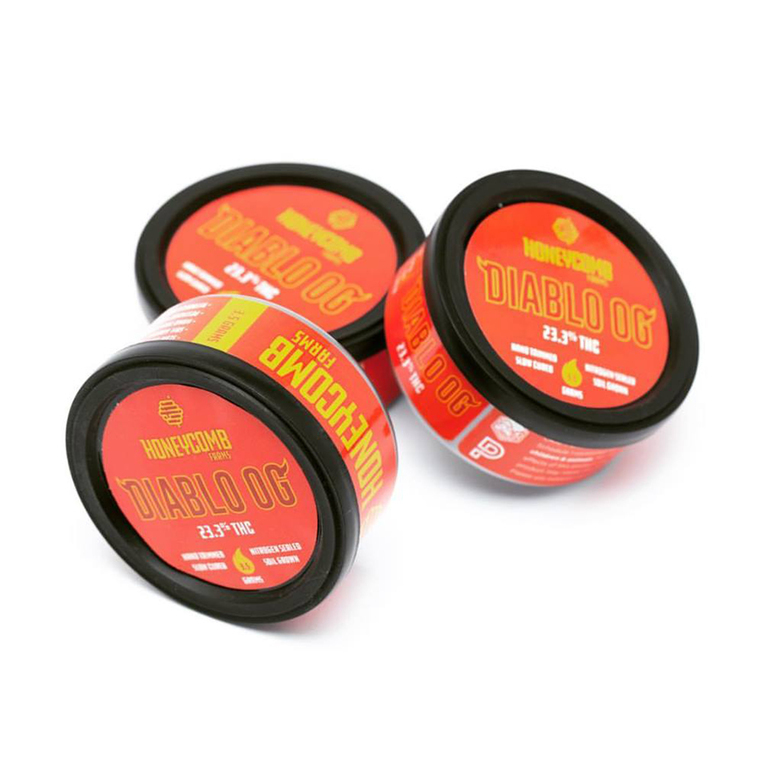 Diablo OG is an indica with lineage from Grapefruit, Blueberry and South African Sativa, there is a sweet flavor to the Diablo cannabis strain. 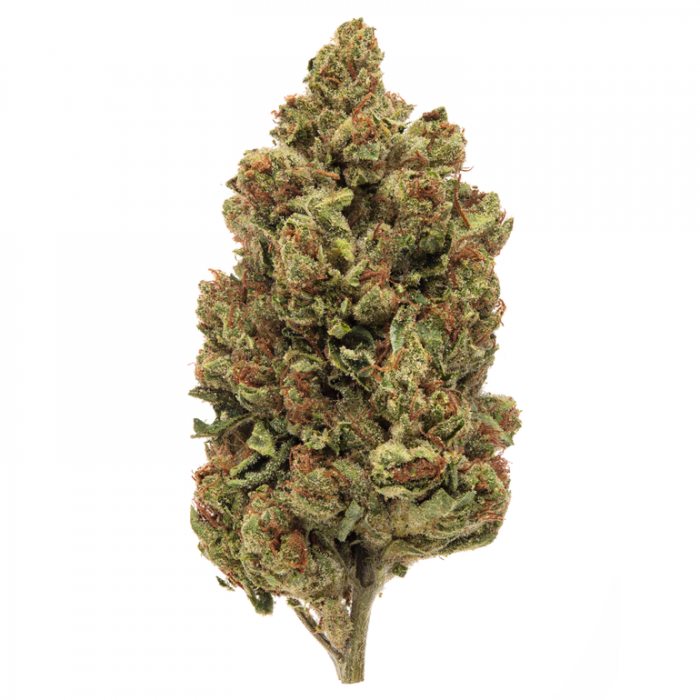 This indica has a purple hue, fruity and spicy flavors, and a THC content that tends to fall between 15-20%. Diablo has an indoor flowering time of 6-7 weeks and took second place at the 2002 BC Harvest Cup in the outdoor category. Honeycomb Farms flowers are: Soil Grown, Hand Trimmed, Pesticide Free, Cold Air Cured, and Nitrogen Sealed in tins.